I wrote about Gresham's Law way back, in September, 2012. Anyone who doesn't know about Gresham's Law could review that past posting, or click this link. As in my previous observations about Gresham's Law, I am really speaking metaphorically here when I use the term. I am not so much interested in economic theory, at least right at this moment, as I am in pointing out how "bad behavior" can come to triumph over "good behavior." I started thinking about this topic, again, as I read a column by Trevor Noah (pictured above), published in The New York Times on December 7, 2016. Noah, as you probably know, took over Jon Stewart's "The Daily Show" last year. I guess he gets some mixed reviews, compared to Stewart, about which subject I am not really in a good position to judge, since I have never watched the show in either the Stewart or the Noah version, and have to rely only on the occasional YouTube snippet. Noah's December 7th column, which does allude to his somewhat different approach to "The Daily Show," was titled, "Screaming About What Divides Us." That is the title that was in the print edition. 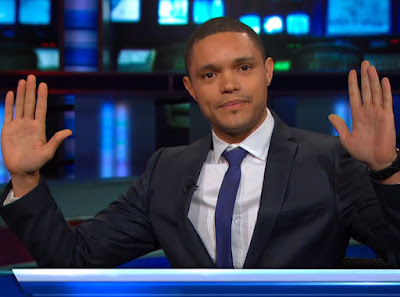 The title used in The Times' online version was, "Trevor Noah: Let’s Not Be Divided. Divided People Are Easier to Rule." I certainly don't object to the political lesson to be gained from The Times' online headline. I think that's a correct judgment. However, I think Noah was making another point, as well, which is reflected better by the headline used in the print version of his column. In essence, Noah is objecting to the kind of politics that appears to be based on the idea that a political discussion needs to aim at "eviscerating" the opponent with whom you disagree. Political observers have noted that the past campaign, and particularly president-elect Trump's Twitter-driven political commentary, has had the effect of devaluating "truth" within in our political discussions. The Economist, in fact, raises the specter of a "post truth politics." Can "lies" be successful in driving "truth" out of the political discussion and debate, so that political decision making, supposedly based on the outcome of fact-reliant discussion, comes to be based almost solely on competing mendacities and "fake news?" If that is the case, I think it's a clear example of a kind of Gresham's Law of politics, with falsehoods displacing truth as the constituting substance of any politically-directed debate or discussion. Sugar displaces good food in our diets because it tastes better than broccoli (at least to many), and in just that fashion, attractive and tasty lies are much more fun to talk about than the intricacies of foreign policy, or the bank bailout. Hence, tasty lies displace truthful debates. "Screaming" at other people, by way of a political debate, is also a lot more fun than the respectful disagreements that used to be considered the main way politics took place. In the Republican Party primary debates, Donald Trump drove Jeb Bush right out of the race. There's an example that most of us remember. This kind of Gresham's Law, at work in the political world, operates most effectively if the politics we are talking about is seen mostly as a "spectator sport," instead of as an activity in which each of us needs to be personally engaged. 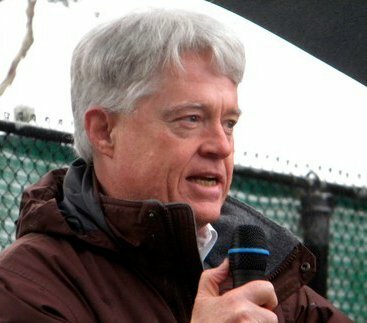 If you see your political participation as "observing" politics, instead of participating personally, then watching people tease out the "nuance" of different points of view, which Noah says is the way that politics ought to be practiced, doesn't have nearly the entertainment value of the kind of debate or discussion that might best be compared to a political "cage match." This is what I take to be Noah's main point in his column, and to the extent that this is true of our current politics, it's a kind of political Gresham's Law at work. Again, of course, "entertainment value" is only relevant, in politics, if your connection to the debate is mostly as an "observer," as opposed getting involved in politics as a personal "participant." If we should be concerned by the operation of Gresham's Law in the political world, and I think we should, then the antidote is to get directly and personally involved in politics oneself. When you play the role as a participant, and aren't just an observer, you won't feel happy about being lied to, or lying to others, and you won't much like being "screamed at," and are probably not going to be comfortable "screaming" at others, either. In short, the Gresham's Law of politics works when we "observe" politics from the outside. We can counteract the effect of Gresham's Law on our politics, and go back to a political "gold standard," when we decide to engage ourselves, as participants.